US equity indexes closed on a weak note, sp -6pts (0.2%) at 2871. The two leaders - Trans/R2K, settled -0.2% and -0.1% respectively. 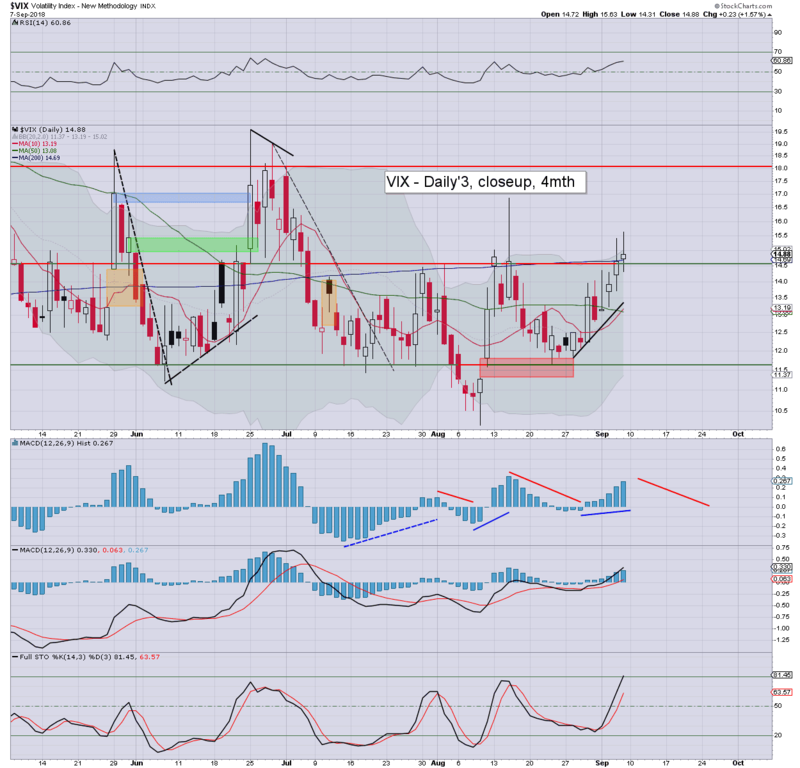 VIX settled +1.6% at 14.88. 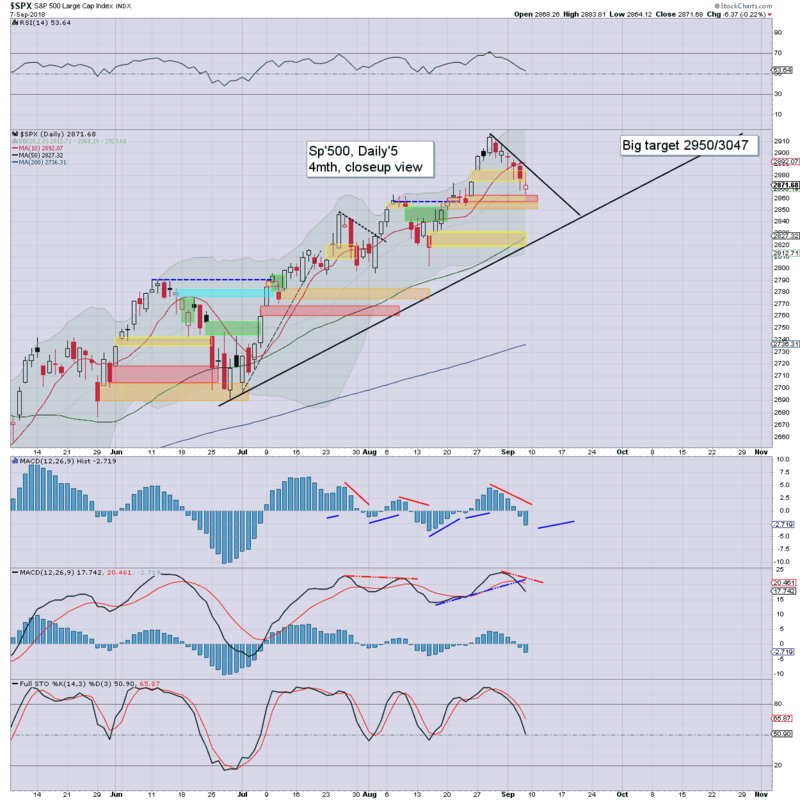 Near term outlook offers renewed upside, not least if the US/Canada can reach a trade agreement. It was another day of moderate chop, leaning on the weaker side. The sp' opened moderately weak, on mainstream concerns of higher rates, due to increases in average earnings. This is ironic of course, as its the same mainstream that was whining about lack of increases in earnings for the US worker for the better part of a decade. 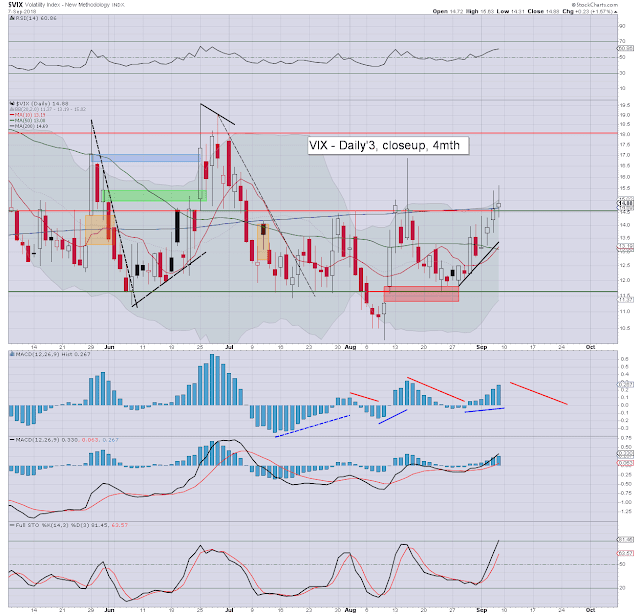 Volatility saw a pop to the mid 15s, but settled in the upper 14s. The s/t outlook offers renewed upside, and new historic highs (>2916.50) are very much within range next week, not least if the US/Canada reach a trade agreement... as seems a given.